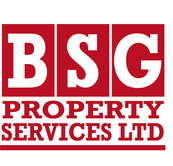 BSG maintains hundreds of homes for Housing Associations in Bedfordshire, Buckinghamshire, Cambridgeshire, Hertfordshire and Northamptonshire. Sometimes the work is planned on other occasions we have to react quickly in an emergency. 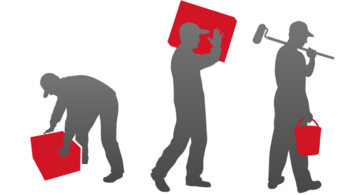 Did you know that we provide the same high quality services to individual home owners as well? You can call on us in an emergency, or simply to handle those DIY jobs that you keep putting off. You'd be surprised how quickly a skilled handyman can do the work, for a modest outlay. For more information about the BSG maintenance division or any of our services and a competitive quotation please call us on 01767 680912 or Freephone 0800 389 4996. Please note that Freephone is not a free service from mobile phones. 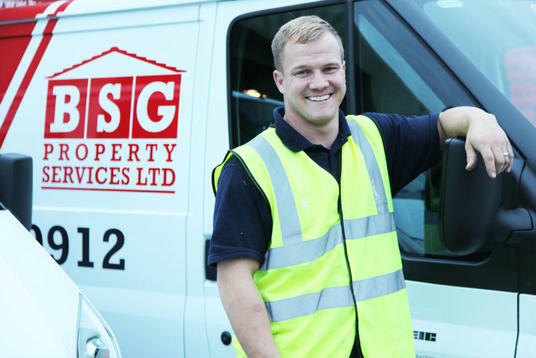 For more information about BSG maintenance services or any of our services and a competitive quotation please call us on 01767 680912 or Freephone 0800 389 4996. Please note that Freephone is not a free service from mobile phones.